Bellator Fighting Championships kicks back into full swing on Friday, Sept. 28, with Bellator 74 at Caesars Atlantic City in Atlantic City, N.J. 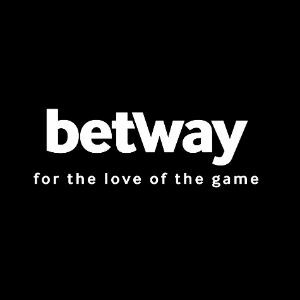 The event will mark the start of the promotion’s seventh season and will feature welterweight quarterfinals headlined by former Bellator 170-pound champ Lyman Good taking on England’s “Judo” Jim Wallhead. The event will broadcast LIVE on MTV2 and in commercial-free HD on EPIX starting at 8 p.m. EST. The preliminary card, highlighting some of the area’s top local talent will stream LIVE on Spike.com. Lyman Good (12-2) is coming off a 13 second knockout win over LeVon Maynard at Bellator 65 in April in the tournament qualifier. Good became the inaugural Bellator welterweight champion in June 2009 at Bellator 11, however, ended up losing the title a year later to wrestling phenom Ben Askren. Good would love to be the one to dethrone the still undefeated Askren and reclaim his former glory and 170-pound title. 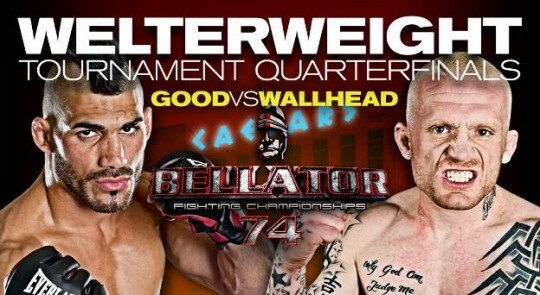 Following a decision loss to future Bellator lightweight tournament champion Rick Hawn in the welterweight tournament quarterfinals last year, Jim Wallhead (23-6) put together back-to-back wins over long time MMA veterans Frank Trigg and Joey Villasenor in the BAMMA promotion in the U.K. Bellator 74 will mark Wallhead’s third fight under the Bellator banner and his third fight on U.S. soil. Also on the Bellator 74 main card in welterweight tournament quarterfinal action, TriStar Gym’s Nordine Taleb (8-1) takes on Marius “The Whitemare” Zaromskis (18-6, 1 NC). Taleb has finished eight of his five victories via knockout and comes into the fight riding a seven-fight win streak, most recently defeating Matt Secor at Bellator 64 and Matt MacGrath at Bellator 67. Zaromskis has won his last four fights, most recently defeating Waachiim Spiritwolf twice in a row in Bellator. Black House MMA’s Jordan Smith (17-3) will try to make another run at the Bellator welterweight tournament after suffering a 22-second knockout loss to David Rickels back in March in the season six quarterfinals. Undefeated Russian Andrey Koreshkov (10-0) will return to Bellator for a third time following back-to-back KO wins over Tiawan Howard and Derrick Krantz earlier this year. In the final welterweight quarterfinal bout, 22-year-old Tim “Cheapshot” Welch (9-3) of Montana will take on 26-year-old Russian submission ace Michael “The Lonely Wolf” Tsarev (23-2). This will be both fighters’ first Bellator appearance. Welch is a teammate of Bellator veteran Lloyd Woodard and has finished every opponent he has beaten. He is riding a three-fight win streak. Tsarev will be making not only his Bellator debut, but his U.S. debut as well. He has won his last 10 fights in a row; eight by submission, two by knockout. Team Tiger Schulman’s Munah Holland (5-1) of New Jersey will make her Bellator return on Sept. 28 against an opponent still to be determined. Holland has been on a tear having knocked out Carina Damm and Marianna Kheyfets in her last two outings.